Steam's still recovering from the big Summer Sale, but there's still time to get Superhot! With Steam having run through practically everything for its Steam Summer Sale, things are still prety quiet on Valve's storefront. That means a little more focus on the few items that are on sale and this week's focus appears to be on Superhot. The Superhot base game is on sale this weekend, as is the VR version of the game. But the more recent roguelike version of the game, Superhot: Mind Control Delete, is also on sale for the first time. So be sure to give that a look. Elsewhere, it's Green Man Gaming looking to help fill the void of big-time sales by offering up big-time discounts on both Destiny 2 and the much more recent Street Fighter 30th Anniversary Collection. Meanwhile, the Humble Store is offering up the Telltale catalog with a special "Build Your Own Bundle" deal. Pay $17.49 for Warhammer 40,000: Armageddon and all of its DLC packs. These activate on Steam. Or pay $1.99 for Chroma Squad, Skullgirls, Deadlight, Mad Games Tycoon, Replica, The Way, Wick, 12 is Better Than 6 Game, The Uncertain: Episode 1 - The Last Quiet Day, and Infectonator: Survivors. These activate on Steam. Find other acclaimed indie games on sale during the GOG.com Weekly Sale. Find more of the Warhammer series on sale during the GOG.com Warhammer Sale. Find more of the best French games on sale during the GOG.com French Weekend Sale. 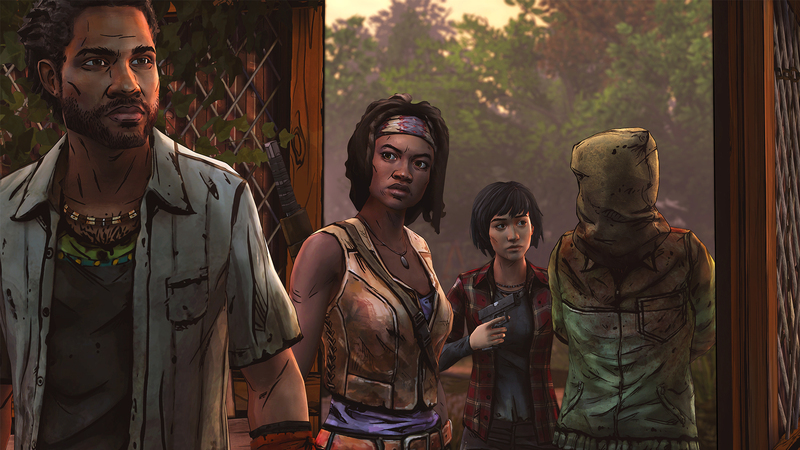 Build Your Own Telltale Bundle and select between The Walking Dead: Michonne, Game of Thrones: A Telltale Series, Minecraft: Story Mode, The Wolf Among Us, Tales of Monkey Island Complete Pack, Tales From the Borderlands, Back to the Future: The Game, The Walking Dead: Season 2, Jurassic Park: The Game, Minecraft: Story Mode Adventure Pass, Poker Night at the Inventory, Poker Night 2, Puzzle Agent, Puzzle Agent 2, The Walking Dead: Season 1, The Walking Dead: 400 Days, Sam & Max: Season One, Sam & Max: Season Two, and Sam & Max: The Devil's Playhouse. All of these games are on sale individually, but buy 3 games for 75% off, buy 4 games for 78% off, and buy 5 games for 80% off. Find other Final Fantasy games on sale during the Humble Store's Final Fantasy Weekend Sale. Scour the full Ubisoft catalog, which is full price, but you can Buy One, Get One 50% Off all weekend. Does the original AC hold up?I haven't played it in a decade.